Over thousands of years, India has produced a multitude of realized beings, sages and seers. Sadhguru describes a few examples from this culture of realization. Sadhguru: A lot of people think that a spiritual process is a dumbed-down version of life. Society has made this conclusion simply because we have unfortunately seen a few bad apples. Otherwise, right through the history of this culture, sages and seers have been the very embodiment of knowing. The highest level of mathematics, the most profound sense of music, astronomy or medicine, everything came from sages and seers. For example, 3,000 years ago, Sushruta, who is regarded as the greatest surgeon of ancient times, detailed over 300 surgical procedures in the Sushruta Samhita, which included ophthalmology, neurosurgery, cosmetic surgery, caesarean sections, techniques for intra-operative anesthesia and post-operative pain relief, antiseptic treatment of instruments and operation theatres – which displays an understanding of bacterial infections – and much more. Another example is Panini. His rules of Sanskrit grammar are the first known work on linguistics. It includes concepts of Boolean logic and other procedures used to describe modern programming languages. Scientists working on artificial intelligence and natural language processing are studying his work to move research in their fields forward. Over the generations, the science of yoga took on a life of its own and branched off into hundreds of systems. When Patanjali came, he saw that it had become too complex and diversified for anyone to grasp in a meaningful way. So, he codified all aspects of yoga into a certain format known as the Yoga Sutras. This is a collection of 196 sutras on yoga. And so, Patanjali is known as the father of modern yoga. “Sutra” literally means “a thread.” Or, in modern language, we can say it is like a formula. Anyone who knows the English alphabet, even a kindergarten child, can say “E=mc².” But, there is an enormous amount of science behind that little formula which most people cannot understand. The sutras are like this. Out of ignorance, people have interpreted these sutras in very superficial ways and have tried to implement them in their lives accordingly. The thread is vital for a necklace or a garland, but it is not a goal by itself. No one ever wears a garland for the sake of the thread. It was for each spiritual master to put his own kind of flowers, beads, pearls, diamonds, or whatever else in the garland. 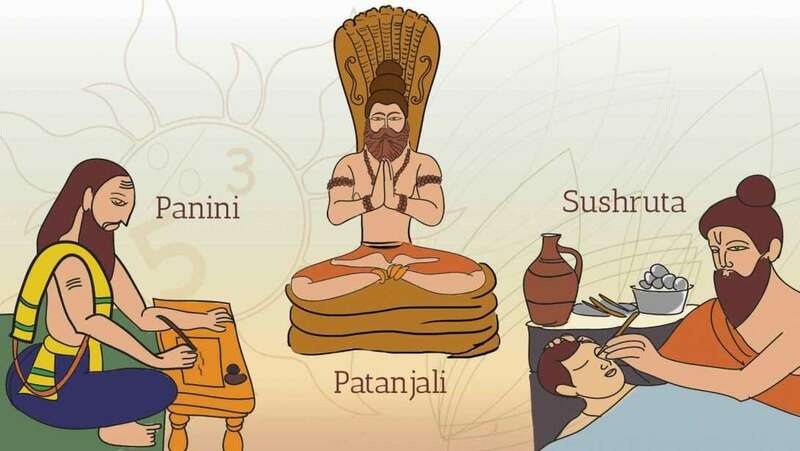 As a man of intellect, Patanjali is probably one of the greatest who walked this planet. Patanjali’s Yoga Sutras are the most tremendous documents about life in the world, and also the most uninteresting. It is the driest and dullest book you could possibly read. Patanjali did this intentionally; though his mastery of language and composition was matchless, he wrote it in a way that no scholar would find it appealing. If people appreciate the literary, poetic aspects of the work, then all kinds of people would naturally read and misinterpret it. They would miss the fundamental purpose of the sutra – a formula to open up life. The sutra means something only to a person who is in a certain level of experience, and who wants to explore his consciousness. Each sutra is a method. You do not have to read all of them. If just one sutra becomes a reality within you, it will take you into a completely new dimension of experience. If you look at Patanjali in terms of his enlightenment, he cannot be more enlightened than someone else. There is no such thing. Realization is realization. But as a man of intellect, he is probably one of the greatest who walked this planet. The breadth of his understanding of life is so vast that today’s scholars argue that everything he wrote could not have been just one man’s work, that many people must have contributed to it. No, it is just one man’s work. These are just a few names that are well-known today. But this culture has produced a galaxy of realized beings. It is not that one guy just popped up somewhere and said or wrote something. There was a phenomenal level of intelligence and competence in this land because powerful consecrated spaces and instruments were created, which allowed individuals to make contact with dimensions that are not usually available to a human being. This knowledge and understanding is not something they came to through logical thought. They saw existence the way it is. By seeing the nature of creation, human intelligence matured in ways that nobody had ever imagined possible. This article was originally published in The Week.